Today I went to one little shop filled with lots of beautiful things specially for sewing. Actually, I love such places. It's like a little heaven where all the inspirations come from. 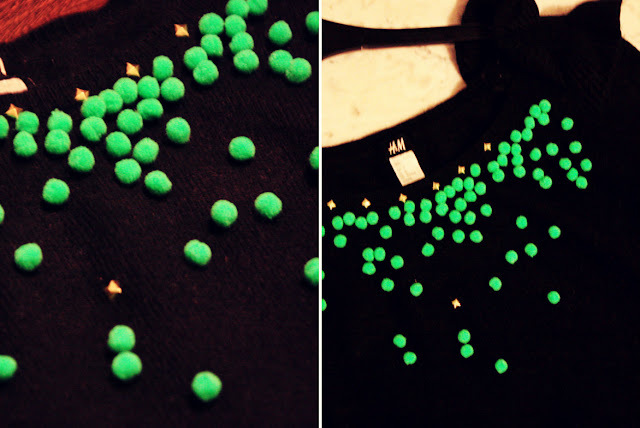 So, my eyes have cought these bright green little and very cute balls and I decided that it would be very suitable for my black H&M sweater. 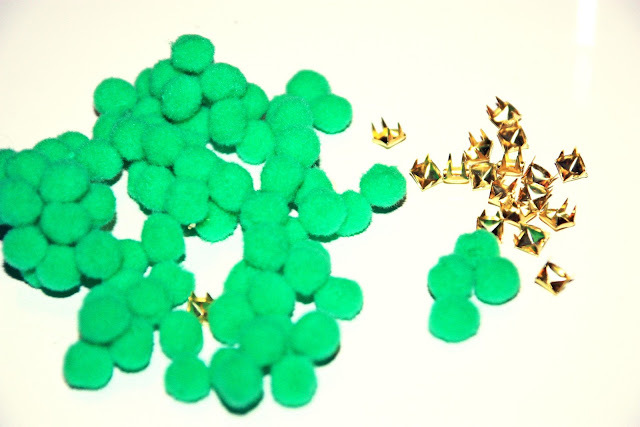 I also matched these golden rivets and you know what? I think this is my favourite sweater from now ! Wait for a new outfit with this new baby ! Super ideja! Tavo bloga uzmaciau Mados Knygoje. Grazus, mielas ir tuo paciu paprastas blogas. Smagus rubeliu derinikai ir grazus tavo darbeliai! Saunuole!